NFL star and Oakland native, Marshawn Lynch, is teaming up with Starbucks to help inner city kids with these new Beast Mode Frappuccinos. OAKLAND, Calif. (KGO) -- NFL star and Oakland native Marshawn Lynch is teaming up with Starbucks to help inner city kids. The Seattle-based chain is now serving a special Frappuccino called Beast Mode, which is Lynch's nickname. 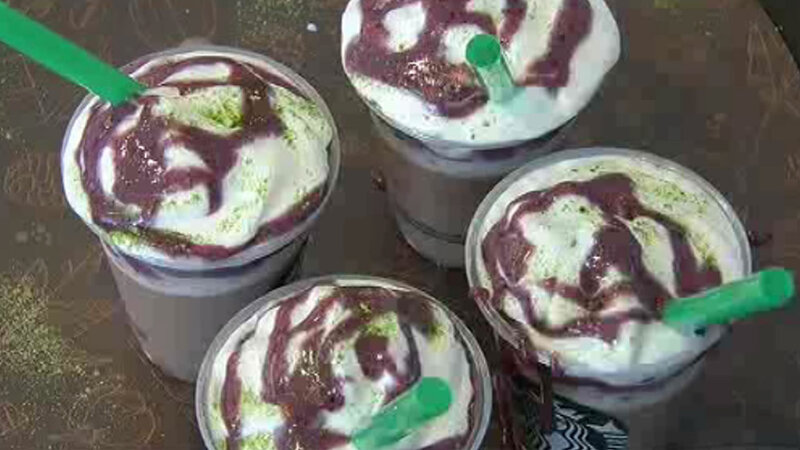 The star running back for the Seattle Seahawks helped develop the beverage, which contains a punch of protein along with raspberry drizzle and whipped cream. A portion of the sales revenue go to Lynch's charity called Fam 1st Family Foundation. The drink is only available in the state of Washington and in Oakland.